Many celebrities love showing up in pictures they don’t belong in, whether it’s on the red carpet or in public. 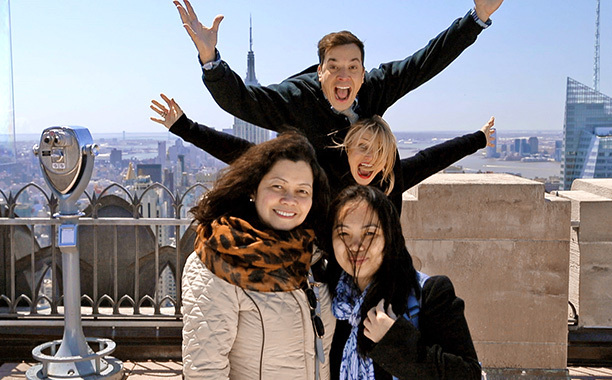 However, mastering the photobomb isn’t as easy as it seems, so not all of them become viral. Check out a few of the best celebrity photobombs, pictures that really have staying power thanks to either an outrageous face or simply in a really hilarious moment. From Lupita Nyong’O and Rihanna to Benedict Cumberbatch and Johnny Depp, here are the most memorable photobombs involving celebrities. 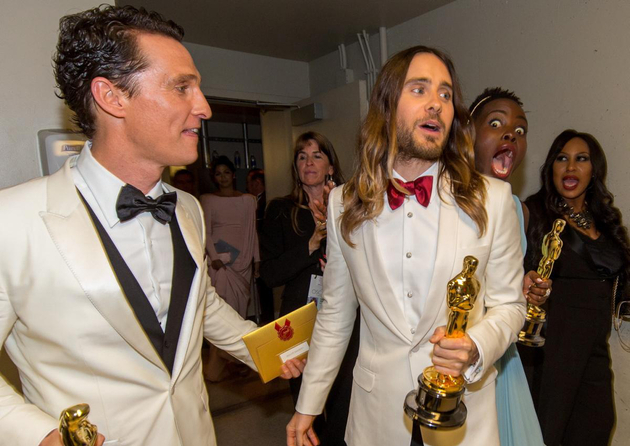 Ecstatic after her win for “12 Years a Slave” at the 2014 Academy Awards, Lupita Nyong’O showed up in a picture with fellow winner Jared Leto and Matthew McConaughey creating the most memorable picture of the night after Ellen’s selfie. 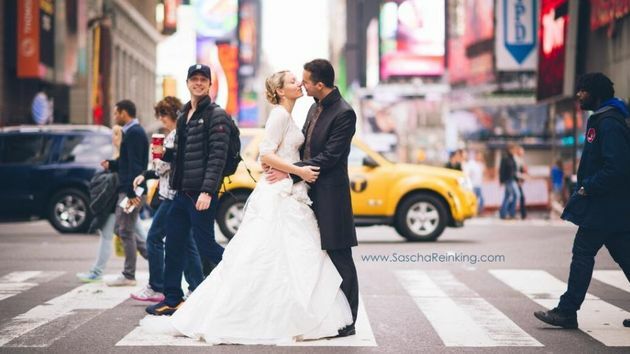 Definitely one of the best celebrity photobombs, since it was so unexpected, Zach Braff stumbled upon a happy couple taking wedding pictures on the streets of New York and decided he could improve at least one of them with a funny face. 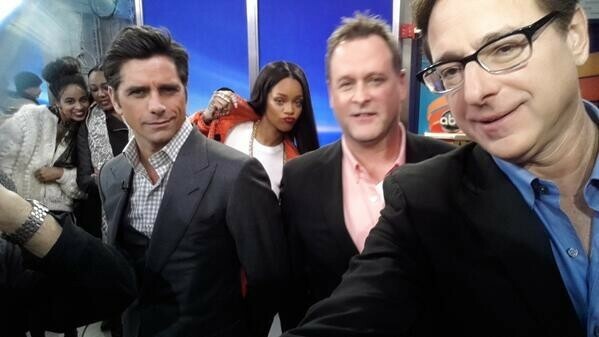 Rihanna can definitely make a splash even when she’s not supposed to be in a particular image and she decided to bring her attitude on “Good Morning America” in a picture of Bob Saget, John Stamos, and Dave Coulier. 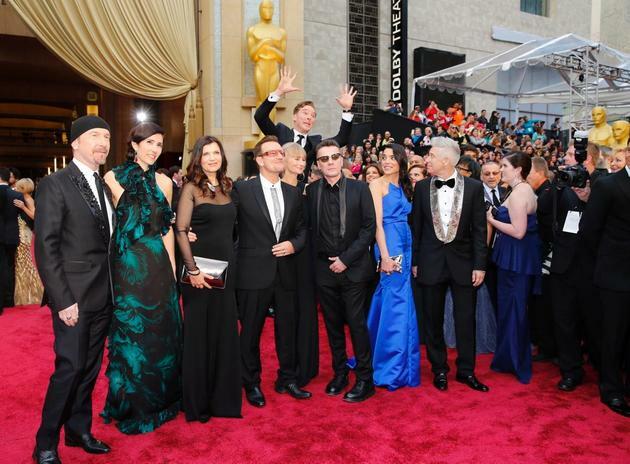 In another hilarious incident at the 2014 Academy Awards, Benedict Cumberbatch decided a picture of all the members of U2 and their wives needed a bit more of him. The result was one of the best celebrity photobombs. Some consider her a master of photobombing, but her skills are even more evident in motion than in a still. At the 2014 Met Ball, J-Law stole the spotlight away from Sarah Jessica Parker’s gold and black mohawk. Sometimes the best celebrity photobombs involve just one celebrity and a shocked stranger. Kevin Spacey interrupted his job in order to photobomb a random stranger who was exhilarated by the experience. 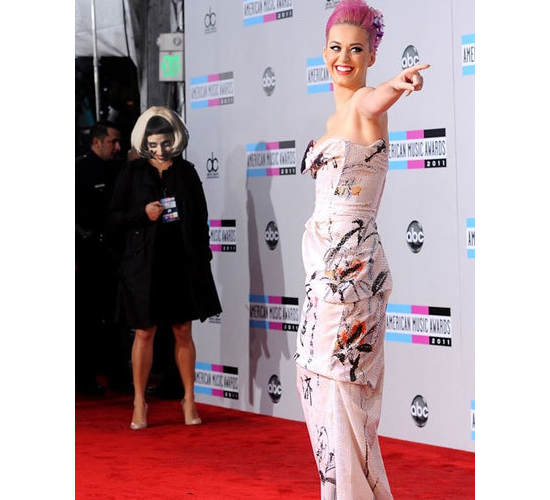 At the 2011 American Music Awards, Lady Gaga’s makeup was already creepy enough, but standing to the side with a Joker smile while Katy Perry was doing her best to look glamorous was both funny and scary. The singer pulled off one of the best celebrity photobombs at the 2013 Grammy Awards. 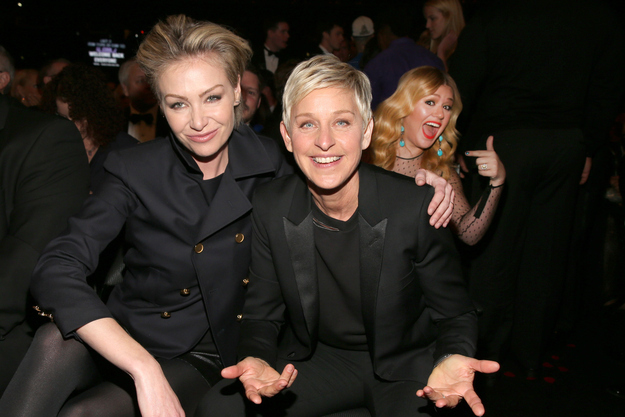 While Portia de Rossi and Ellen were smiling for the cameras, Kelly really brought the fun from the back row. Many girls would love to have Robert Pattinson in a picture, but the English actor really brought the art of photobombing to a new whole level by crouching in this image. Attending the “Alice in Wonderland” premiere in Tokyo, Johnny Depp was created one of the best celebrity photobombs with a really creepy pose behind director Tim Burton’s back, giving Gaga a run for her money when it comes to scary photobombs. While promoting “Kung Fu Panda” at the Cannes Film Festival in 2008, Angelina Jolie became part of a truly epic image. The floating heads of Dustin Hoffman and Jack Black would have been enough to make this memorable, but the comedian really sells it. Whether or not they were trying to replicate a romantic moment from “Titanic”, Cameron Diaz and Jimmy Fallon came up with one of best celebrity photobombs when they showed up in a picture of two tourists. 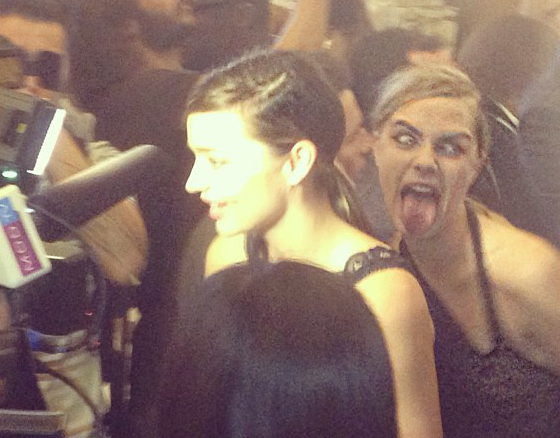 Another entry in the scary folder, Cara Delevigne really took it up a notch when showing up behind Miranda Kerr while she was giving a TV interview. The Australian model loved it so much, she put the picture up on her Instagram. Back when Justin Bieber was more than an entitled d-bag, he was responsible for one of the best celebrity photobombs, getting in between Katy Perry and her ex-husband at the 2011 VMAs.